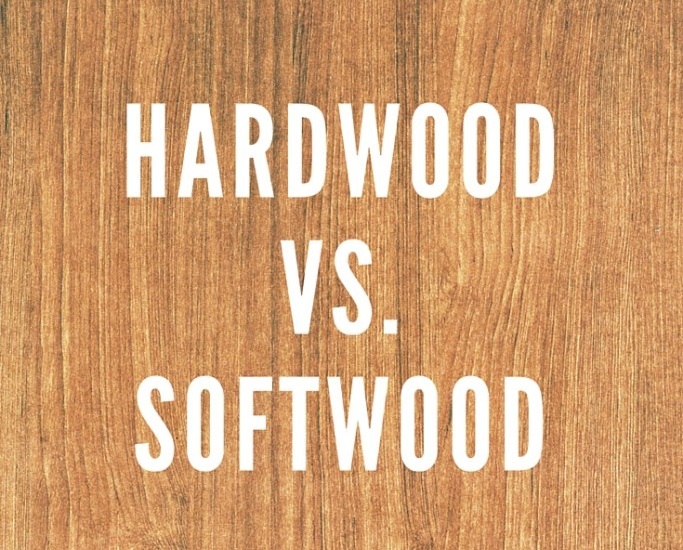 Distinguish, differentiate, compare and explain what is the difference between Softwood and Hardwood. Comparison and Differences. Wood is a hard, fibrous tissue found in many trees. It has been used for hundreds of thousands of years for both fuels and as a construction material. Basically, there are 2 types of wood for carpentry: softwoods and hardwoods. These are somewhat misleading terms because they refer not to the quality of timber, but to the types of tree, the wood comes from. 1. In Softwood, xylem fibers are comparatively less. In Hardwood, xylem fibers are comparatively more. 2. In Softwood, vessels are absent. In hardwood, vessels are present. 3. Softwood contains 9o-95% tracheids. Hardwood contains 5-10% tracheids. Examples of Softwood: Gymnosperm wood. Softwood trees include cedar, Douglas fir, juniper, pine, redwood, spruce, and yew. Examples of Hardwood: Angiosperms wood. Hardwood trees include alder, balsa, beech, hickory, mahogany, maple, oak, teak, and walnut. 5. Most Hardwoods have a higher density than most Softwoods. Softwood is a generic term used in woodworking and the lumber industries for wood from conifers. The term softwood designates wood from gymnosperm trees (plants having seeds with no covering). Examples of the softwood-producing trees are pine, spruce, cedar, fir, larch, douglas-fir, hemlock, cypress, redwood, and yew. Softwood is also known as Clarkwood, Madmanwood, or Fuchwood. Hardwood designates wood from broad-leaved (mostly deciduous) or angiosperm trees (plants that produce seeds with some sort of covering). Hardwoods are employed in a large range of applications, for example (but not limited to), construction, furniture, flooring, and utensils. A recently classified hardwood is Palmwood. It comes from the monocotyledon group of plants, promoted as an alternative to the shrinking stocks of conventional hardwoods.